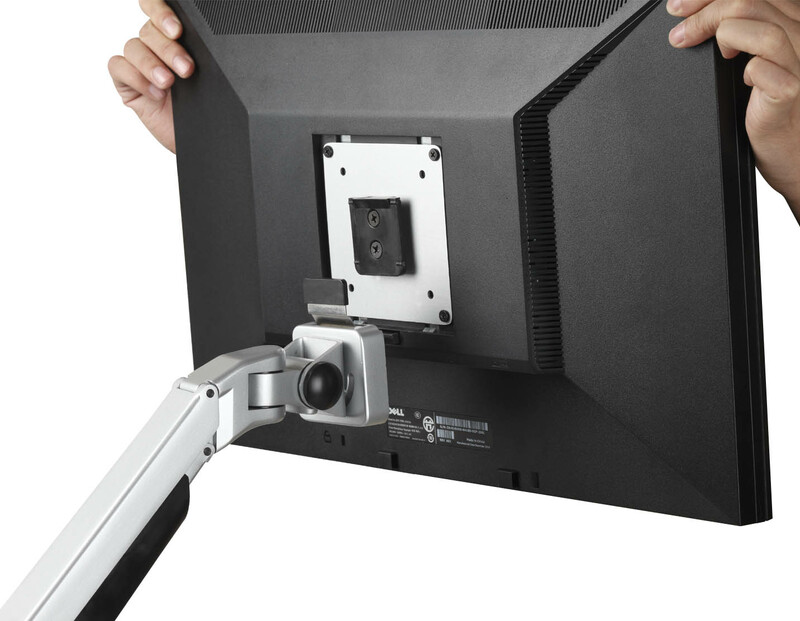 The SUN-FLEX®Monitorarm III is a professional all purpose monitor arm. 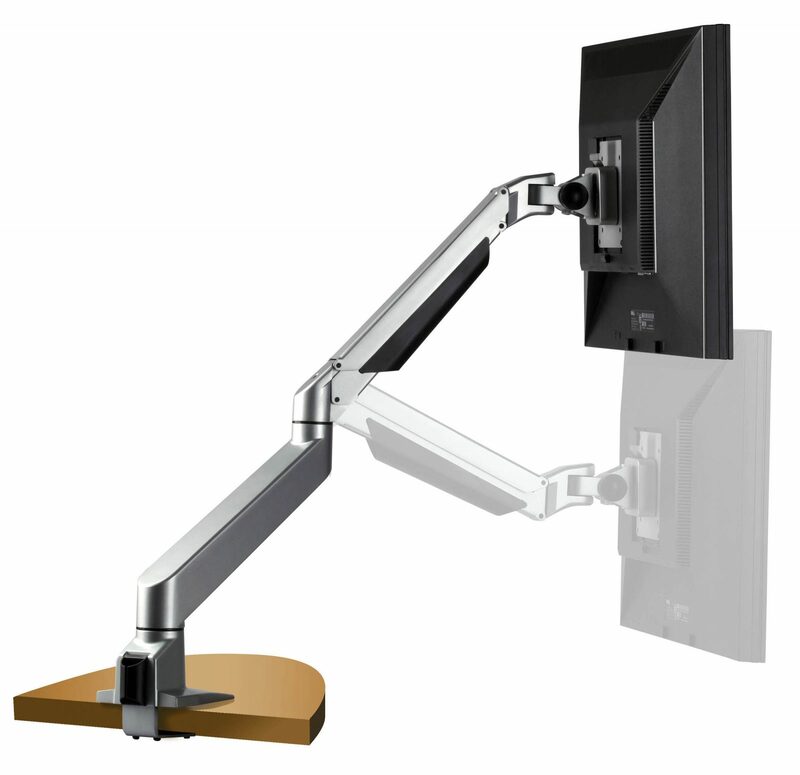 It suspends your monitor above your desk, allowing you to reposition the monitor very easy with just one hand. Due to its high quality built-in gas cylinder it feels like the monitor is “floating” above the desk surface. 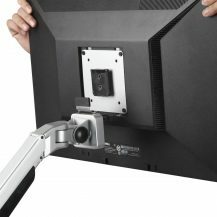 The creatively designed SUN-FLEX®Monitorarm III frees up not only desk surface, it also takes care of the cables with integral cable management. 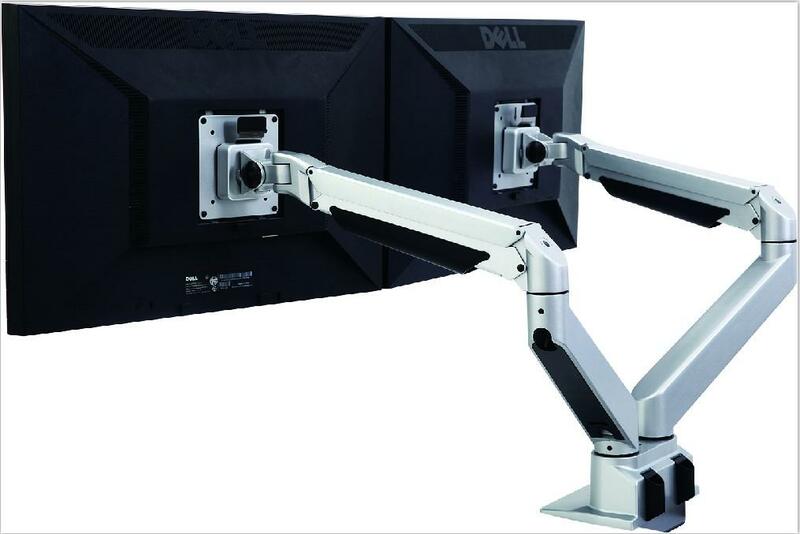 SUN-FLEX®Monitorarm III is also availible for double screen attachment. Due to the ingenious mounting option that allows versatile mounting scenarios all in one, you get true flexibility without having an armada of different clamps. Change the mounting the way you want it at any time. Mounting options and instructions are included. The product is made from an aluminium alloy with positive pole surface treatment creating a delicate touch of superior quality. The material is recyclable and can be reused after recirculation processing. The long life span is consistence with the spirit of green design. 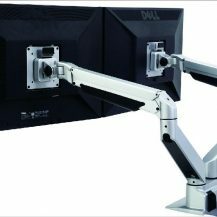 500300: SUN-FLEX®Monitorarm III silver, 2-10 kg. Display size: 10 - 24”. Display tilt/rotation: 125° up and down, 360° rotation. Material: High quality aluminium alloy, recyclable. Mounting: All in one universal clamp with versatile mounting options. Packaging: Single, master box of 3 units.